Thank you for your interest in Yerba Buena Center for the Arts. Please complete the following application as completely as possible; we want to learn about you and your interests in order to make your volunteering experience the best it can be! Remember: at the end of the application, please read and verify your compliance with our Volunteer Expectations. How were you referred to YBCA? 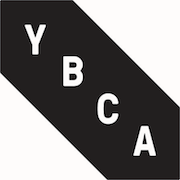 What interests you about volunteering at YBCA? * I have read and understood the Volunteer Expectations.